Thank you for your interest in Dar El Tarbiah American Schools. 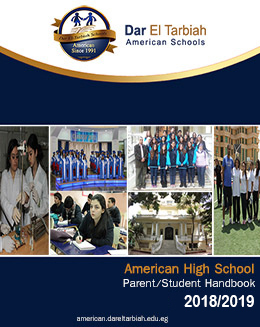 The Admissions process in Dar El Tarbiah American Schools starts in June of each year. We have Open days from April until end of May for parents to take a tour of the school and apply for their children. Applications and all supporting documents should be submitted to the Admissions Office by email or by hard copy. 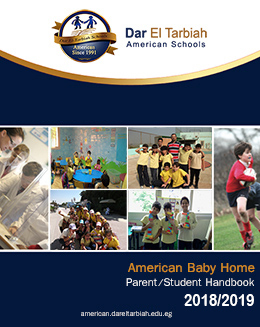 Filling an application form either online or from the American Baby home school reception when you visit the school campus. Once completed, submit it to the manager office (to Mrs. Engi Ezzi or Mrs. Fatema Salah El Din) along with 4 passport size photos of your child, a copy of the birth certificate (new version with national number on it), and the most recent report from his/her nursery or current school. An admission fee of L.E. 2,500 is required after filling an application form and before sitting the Admittance Exam. This amount is non-refundable unless the school declines your application.